Looking for the perfect party venue? 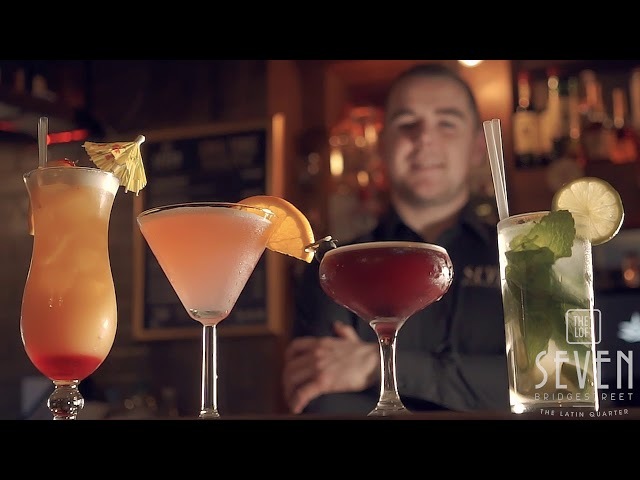 Seven Bridgestreet is one of Galway’s stylish city centre bars, boasting vibrant colours, elegant lighting and contemporary decor, we guarantee a lively, upbeat atmosphere. We have a range of party packages available and are happy to tailor make a personal package for you to incorporate everything you want in order to make the celebration a memorable one. So whether it’s a birthday, engagement, graduation, corporate function or any other celebration, we have it covered. Start the party in style with a Prosecco reception and delicious party food platters, which are served in our reserved party areas. We offer the very best in live music 7 nights a week and our Resident DJ plays the party tunes every Friday and Saturday night, along with a Late Bar every weekend. We’ll take care of it all when you book an event in Seven. Contact us today with your event inquiry!